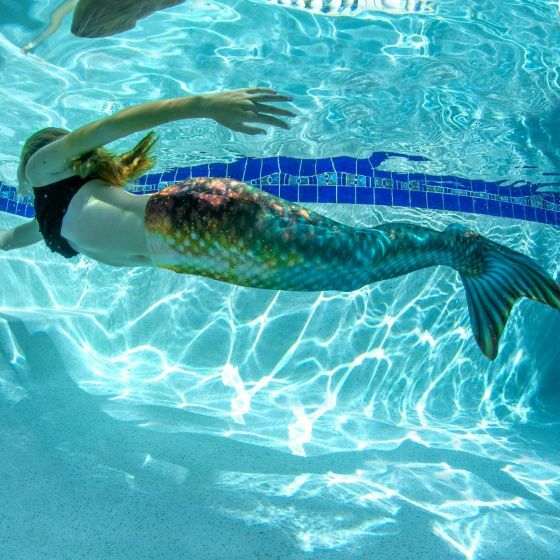 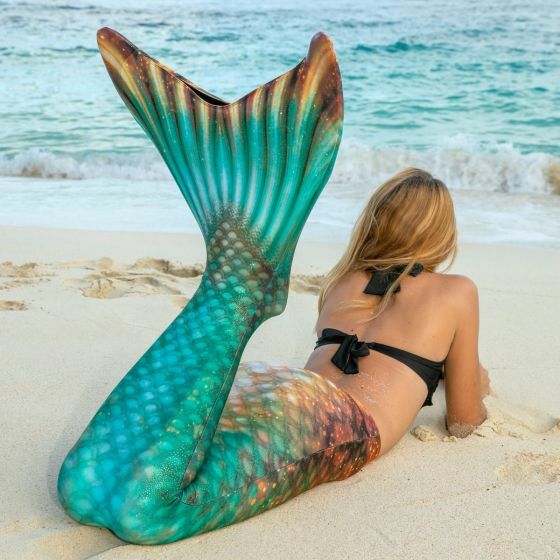 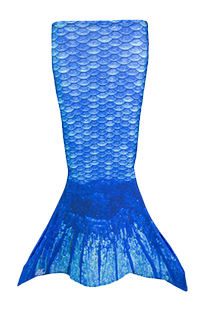 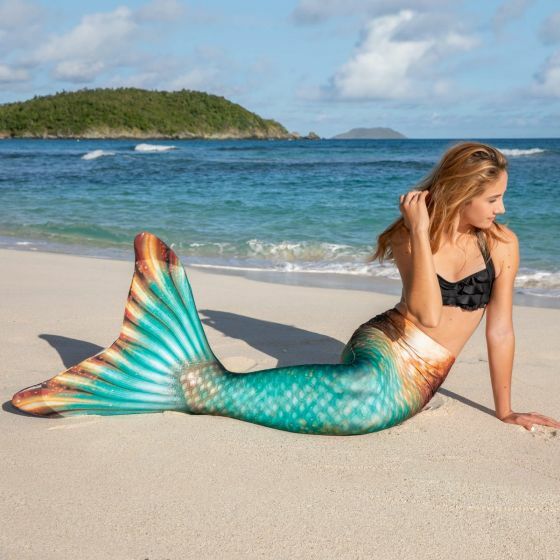 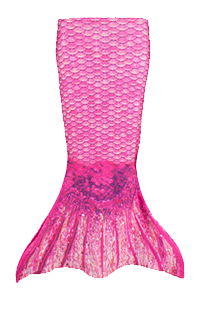 Yearning for a unique mermaid experience? 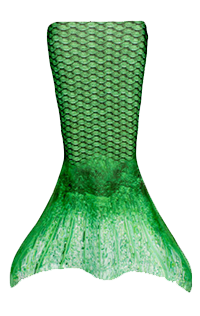 Dominate the depths dressed in our radiant Bronzed Emerald design, featuring a breathtaking blend of jewel tones! 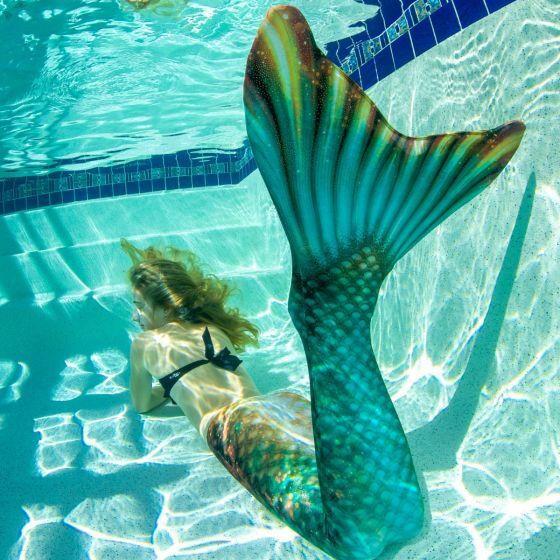 Uniquely shaped scales in emerald green and golden topaz tones set this swimmable mermaid tail apart, with its special layer of copper sparkles that creates a polished look. 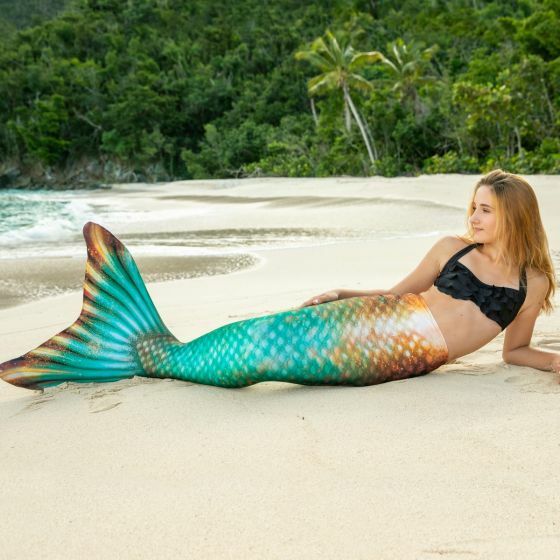 Metallic by design and comfy by nature—this mermaid tail for kids and adults made of swimsuit fabric features luxurious shades of the earth’s hidden gems printed on premium fabric that stretches with your every movement!